Wednesday, August 4, 2018 - The struggle among some of these Nairobi slay queens is real. They are living fake lives to impress their friends. 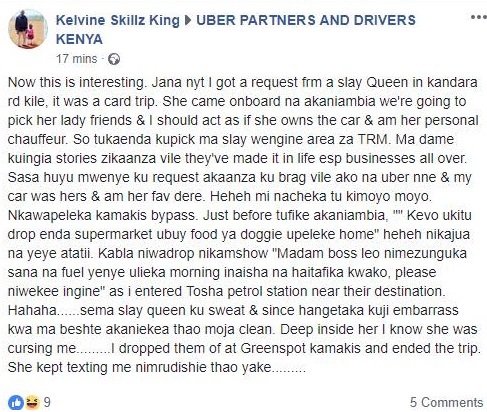 This Uber driver has narrated what a slay queen who is living a lie hired him to do. She wanted to impress her friends with a fake lifestyle but the driver decided to teach her a lesson. This post will make your day.